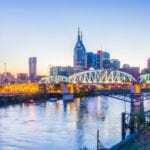 NASHVILLE, TN —Dr. Ming Wang, M. D., Ph.D, ophthalmologist and 3D cataract and lasik specialist, recently served as the speaker at Fairfield M.B. Church in Goodlettsville, for both services at 8 a.m. & 10:35 a.m. The noted health professional and philanthropist spoke from his recent book, ‘From Darkness to Sight’, a journey from hardship to healing. Dr. Wang spoke of his childhood years, when he had no religious grounding. But through a series of activities in his life, he saw the light. “As a child, I lived as an atheist and in abject poverty,” said Dr. Wang. He described his life literally moved from darkness to sight. “One can get out of bad situations….through clear insight, spirituality and physical growth and good health,” he added. The audience was captivated by Dr. Wang’s enthusiastic presentation. “His story was moving, relevant and relational,” said Deacon William Pierce. In describing his transition, Dr. Wang explained that God provides our vision and life teaches us to have faith, as well as the ability to use science. Then all those factors must work together. “Science tells you what things are and faith tells you why they are,” he illuminated. During his presentation, Dr. Wang also played a special instrument that he learned to play during his early years. It was that instrument that helped him to move forward. He closed his presentation with a special solo and asked the audience to join him on the song, ‘Amazing Grace.’ “Dr. 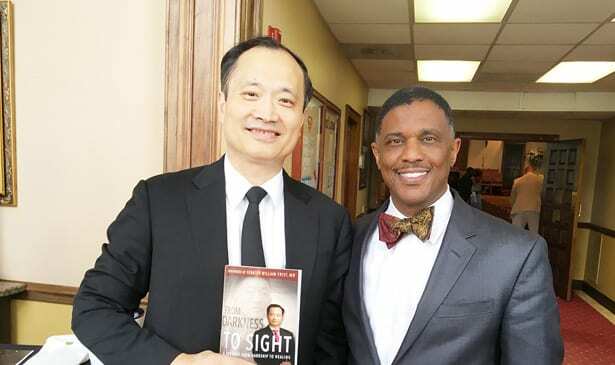 Wang’s presentation continued to undergird the message of faith in God and how that faith can lift the spirit and change things, as is written in Hebrews 11:1, “Faith is the substance of things hoped for and the evidence of things unseen.” said Pastor Jones. Most recently Dr. Wang was honored by the Kiwanis Club as the Nashvillian of the Year for his work to help blind orphan children from around the world, and by Fifty Forward for his philanthropic work to help the elderly.